This article may contain references to products or services from our advertisers. We may earn commission if you click on these links and choose to book accommodation, buy some products or services. This has no effect on the price for you. Finding a present for your traveler friend may not be the easiest task. Especially if you aren’t an avid traveler yourself. Whenever you’re looking for the best present a safe bet would be getting something practical. Speaking of the best travel gifts things aren’t much different. Practical gifts mostly is a very good choice, unless, of course, you have a better idea or you know what exactly this person wants to receive. 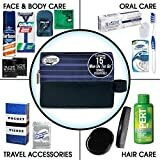 Best travel gifts for him? If that’s what you’re searching for right now then you have found yourself in the right place! Because here in this article we have listed 15 great travel gift ideas for men (all practical). We’ve come up with this list of the best travel gift ideas for him to help you with the upcoming task to choose a great gift for your male traveler friend / relative. One of the best travel gifts for men. The Suunto Traverse is a great GPS outdoor watch designed with hikers in mind. 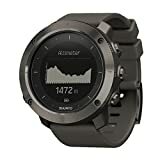 It is one of the best hiking watches available on the market, yet it’s not that expensive as newer Suunto watches. The Traverse watch tracks speed, distance and altitude. It shows route and route altitude profile, and has a weather trend and storm alarm. The watch has a long battery life – up to 100 hours. See all Suunto hiking watches on their website. One of my best smart packing tips is to keep electronics and cables separated from the rest of the stuff. Thus one can locate in the luggage any cable or gadget way faster because they are contained in an organized manner. One of the best cable and electronics organizer for Mac and other Apple product users is the Zero Grid Organizer. If your traveler friend / relative uses other gadgets, the BAGSMART electronics organizer with adjustable dividers will be the perfect option for him. Is he keeping a travel journal? Does he like to take notes or write poetry? 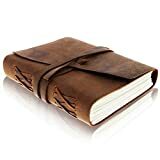 Then the Moonster leather journal is one of the best travel gifts for him! It’s beautifully crafted and has a rustic charm. It’s made of soft dark brown genuine water buffalo leather. The leather strap keeps the journal closed and also can be used as a handy bookmark. This beautiful journal is available in two sizes: 7″ x 5″ (18 x 13 cm) and 8″ x 6″ (20 x 15 cm). Choose a gift set with a gift box and pen! 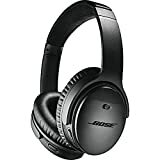 The Bose Bose QuietComfort noise cancelling headphones allows one to enjoy music to the fullest. They quell background noise, and volume-optimized EQ makes music always sounds its best. The Bose QuietComfort are also great for air travel as they block the airplane cabin noise. The headphones feature noise-rejecting dual-microphone system for clear phone calls. It’s possible to choose preferred level of noise cancellation. It can be done in the free Bose Connect app. A good quality RFID blocking passport wallet is one of the best gifts for people who travel. Not only it will protect passport from wear and tear but also from electronic theft. Yes, information stored in microchips on cards and passport can be scanned by digital thieves without you knowing! The Pacsafe RFIDsafe LX150 can hold passport and also several bank cards, IDs and boarding passes (folded). It has several pockets: 2 interior slip pockets, 1 ID window, 8 card slots and 1 exterior zippered pocket. The Pacsafe RFIDsafe LX150 passport wallet is compact and doesn’t take up much space in the bag. They are cheap, super useful, and your travel life becomes so much easier when you have them, all of what makes packing cubes one of the best gifts for people who love to travel. We always use packing cubes when traveling. Packing cubes are there to help travelers keep their clothes organized and at the same time save some space in the luggage. With use of packing cubes travelers can separate clean clothes from dirty, T-shirts from pants, etc. Packing cubes are versatile because they can be used also as cable organizers and even as toiletry or shoe bags. However, they are not designed to be used as shoe and toiletry bags just because majority of them have a mesh lid that doesn’t contain dirt and leaks. Travelers take a packable daypack with them in their luggage and unpack it at their destination to take it on day trips and sightseeing trips. The Neatpack daypack is great compact packable daypack that is perfect both for traveling and for everyday use. It’s spacious, yet folds up small. It is made of durable material, and has slightly padded shoulder straps. 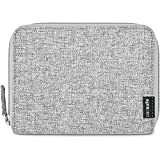 It has several pockets and compartments. Bag’s main compartment is roomy enough to hold a book, a beach towel and a A4 notebook with a room to spare. There’s a separate zippered bottom compartment for dirty / damp clothes, or flip flops. The Neatpack daypack also has a zippered internal and external pockets, as well as a large open inner pocket. 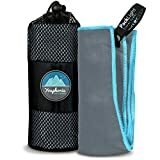 The Youphoria Outdoors microfiber towel is a perfect travel towel that doesn’t take up much space in the luggage, and dries quickly. Not only it is great for traveling but also good for gym. It can be used as a beach towel, too. The towel is made of smooth material, so sand won’t stick to it. 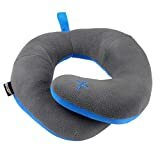 A good travel pillow definitely is one of the best travel gifts for him. Especially if he travels a lot. Travel pillows are there to help travelers feel more comfortable during a flight or a bus / train ride and get some rest even while sitting in an upright position. There are many travel pillows on the market but the BCOZZY chin supporting travel pillow is our favorite. It wraps around the neck comfortably and simultaneously provides support to the neck and head. Most importantly, it will give much needed chin support as well! Rather than giving a gift of silicone travel bottle set (to later fill them with toiletries from regular full size bottles), get the amazing Man on the Go travel toiletry kit. 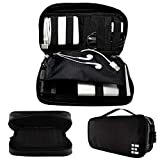 It is a TSA-compliant travel necessities kit that contains essential travel size toiletries and travel accessories for men. 9, 12 and 15 piece sets are available, and they come in TSA-compliant quart-size bags. Man on the Go travel kits include popular national brand (such as Gillette, Pert, Barbasol, Degree, Crest and DenTek) travel size essentials. Not only a good power bank is one of the best gifts for people who travel for work but also a great gift for leisure traveler. Power banks come in different sizes and capacities. Undoubtedly, a high capacity power bank is the best option for all frequent travelers. Not only they will be able to charge their phone but also charge their tablet computer and camera. It’s so easy to damage a smartphone! It can get wet in the rain and its screen can break in a fall. All of this can be prevented with a water resistant and shockproof phone case! 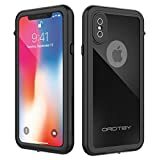 Such a phone case is a must have for every traveler! One of the best gifts for travelers who travel to tropical destinations during the monsoon season, or for those who love water sports, rafting, kayaking and canoeing. 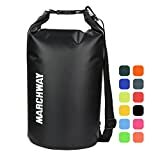 Majority of dry bags are very similar if not the same. But they do come in different sizes. The smallest ones (2 – 5 L) are perfect for carrying small items such as a phone, wallet, compact camera and passport. Medium size (10 – 20 L) dry bags can be used as a daypack, whereas the large ones can hold camping gear. A portable bluetooth speaker will let your traveler friend enjoy music anywhere he goes – while hiking and camping, on the beach, in a hotel room, etc. A good option is the JBL Clip 2 which is tiny yet rugged and durable, and provides 8 hours of playtime. One can stream music wirelessly via Bluetooth, or plug the JBL Clip into any smartphone or tablet with its attached audio cable. Also it’s possible to wirelessly connect two JBL Clip 2 speakers together to enjoy amplified sound. This versatile piece of equipment is lightweight, easy to pack and set up, and offers you a very comfortable sleep. It can be used at a campsite, on the beach or even at home (if you have a garden or backyard)! 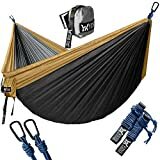 The Winner Outfitters hammock is one of the best budget hammocks available on the market. It’s durable and fits 2 persons, supporting up to 500 lbs! Una is a traveler and travel blogger from Latvia. Apart from traveling and exploring new places she loves to read books. And she adores cats. Together with Kaspars they have been traveling – volunteering – working abroad since October 2013. WeAreFromLatvia.com is where she shares her travel experiences. WeAreFromLatvia.com is a participant in the Amazon Services LLC Associates Program, an affiliate advertising program designed to provide a means for sites to earn advertising fees by advertising and linking to amazon.com. Amazon and the Amazon logo are trademarks of Amazon.com, Inc. or its affiliates.